Often overlooked by visitors in favour of Belfast or cities in the Republic, Londonderry/Derry’s troubled history may have hampered the city’s tourist industry in past decades. But, Londonderry/Derry* has come leaps and bounds in recent years, attracting visitors with its varied history and Irish charm. If it wasn’t for the fact that I have family in the city, which brings me here at least once a year, it is unlikely Derry would have been high up on my choice of cities, but my first visit in 2011 surprised me, and I have continued to be fascinated by it ever since. The River Foyle runs through the heart of Derry and is a great place to start exploring it. Take a relaxing walk along the Quayside and don’t forget to cross over the peace bridge, symbolising the unification of a once deeply divided place. The murals tell the story of a turbulent time in Derry history, known as the Troubles, in which it was deeply divided along Catholic and Protestant lines. Starting in the 1960s, the city was home to civil uprisings, riots, and violence, marking perhaps the darkest time in its history. The murals along the Bogside tell a story of life during this time, which began with Bloody Sunday. 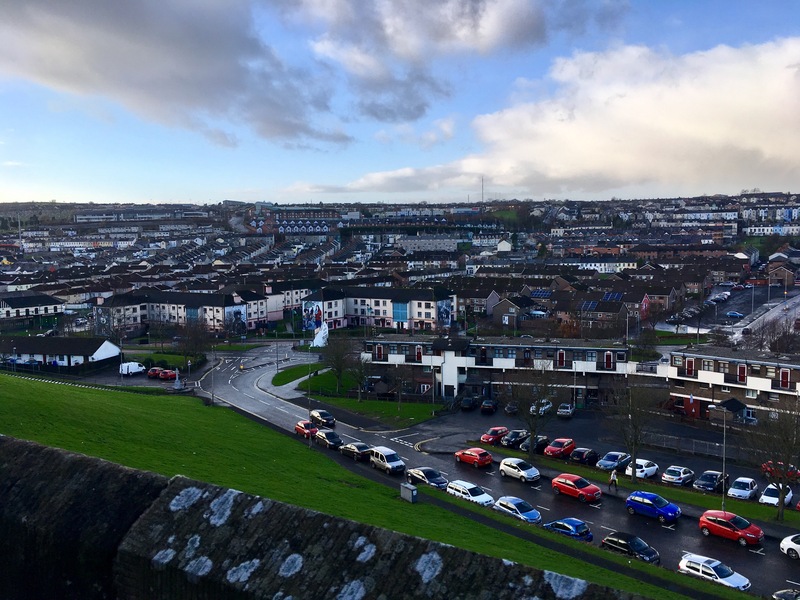 Starting at Free Derry Corner, take a walk around the Bogside to see the murals, which have been developed since 1993. The picture the murals paint is a harsh one but brought to light by the artists in hopes that by examining its painful past, it can truly learn to heal. Free Derry Corner was painted on the side of a house by John Caker Casey, on 5th January 1969. The name “Free Derry” was given to the areas of the Bogside, Creggan and Brandywell that were barricaded off from the security forces between August 1969 and July 1972. It remains today one of the most enduring symbols of the Troubles. End your tour at the Free Derry Museum, focusing on the 1960s civil rights era known as The Troubles and the Free Derry Irish nationalist movement in the early 1970s. Or, for a guided tour of the murals, sign up at the Free Derry Museum. Around the corner from the Free Derry Museum, the Craft Village is the perfect spot to find some treasures to take home or grab some lunch. 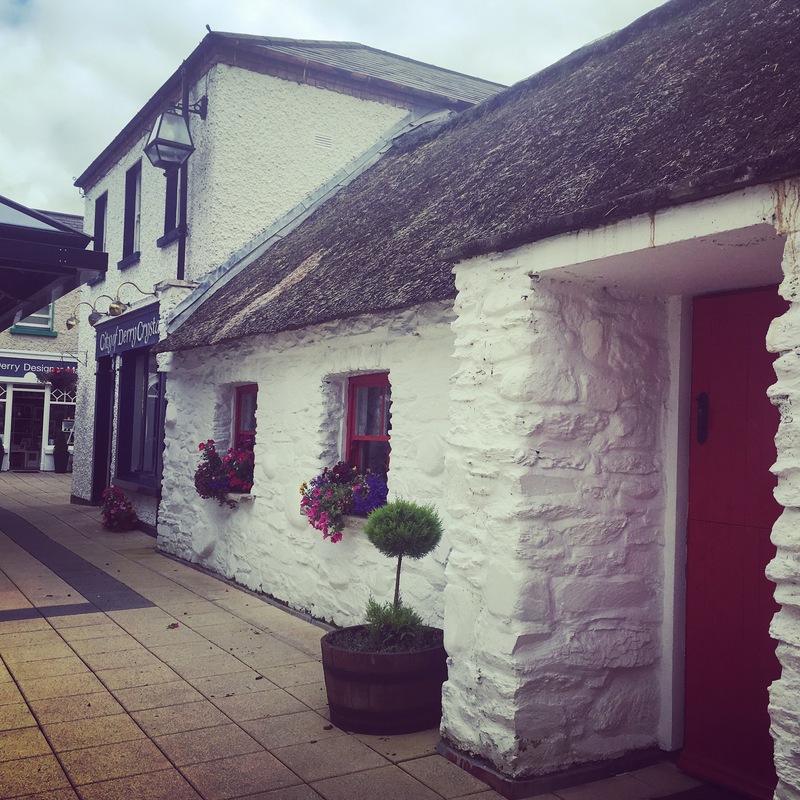 Nestled off of Shipquay Street, the old-world vibes village, complete with a traditional-styled thatched roof cottage, features art galleries, Waterford crystal, book shops, handmade items, and souvenirs. 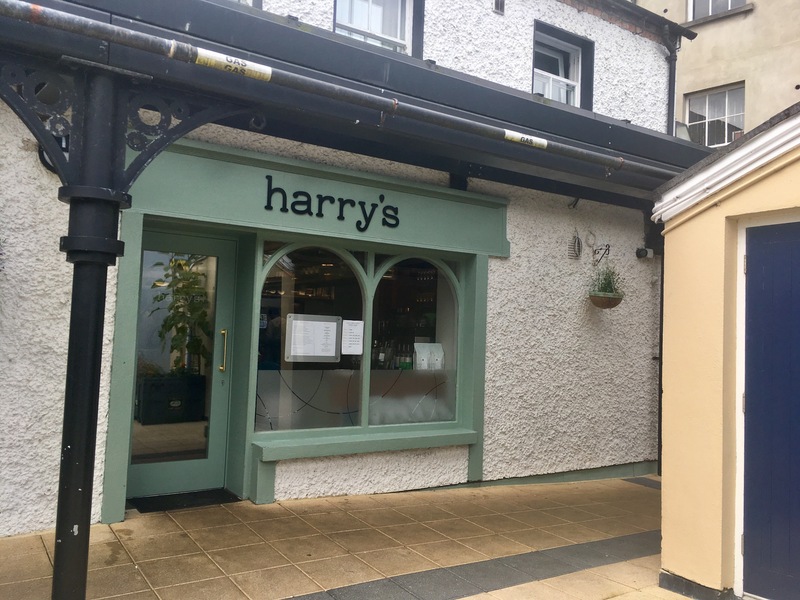 When you have finished shopping, stop off for some lunch at Harry’s. Derry is known as the walled city and remains the last completely walled city in Ireland. One of the best ways to sightsee around it and learn a bit about its history is to walk the walls. 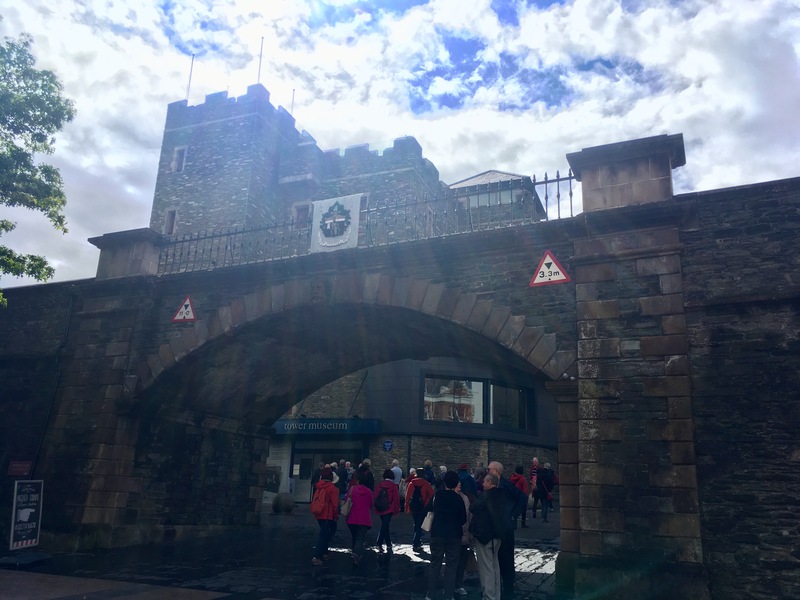 Start near the Guildhall, making your way around the old city centre with views of the Bogside on one side and the fortified centre on the other. The Tower Museum, across from the Guildhall and just inside the city walls, provides an excellent overview of local history. Explore the settlement of the city, to its growth in the 18th and 19th century, through to the Troubles that so defined the 20th. At the top, take in the panoramic view of the city and the Foyle. 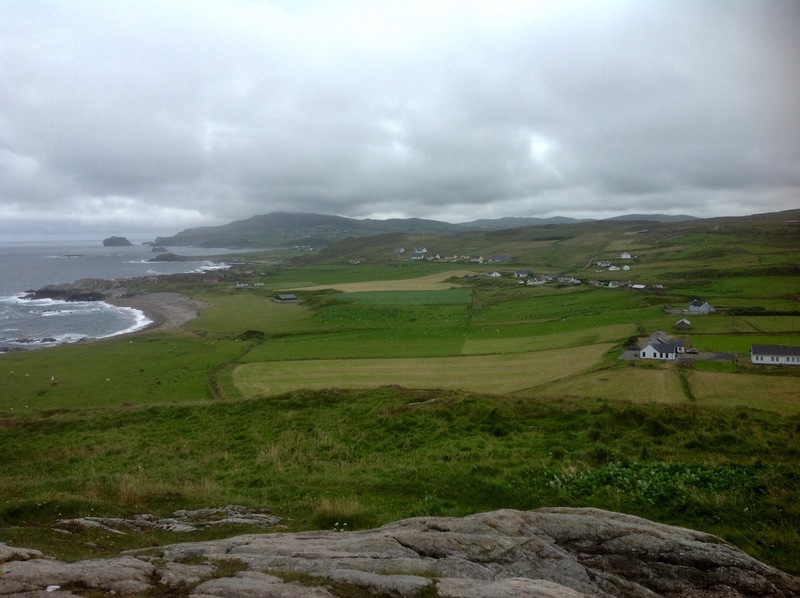 You are only right over the border from gorgeous Donegal, so take a trip into the Republic to Derry’s neighbour county of Donegal. Buses run daily to the seaside town of Buncrana, or if you have a car, head further north to Moville or even to surf-haven Portrush. While you are exploring, make sure to take some time out to visit the Famine Village which tells the story of old Irish life and one of the most trying times in the country’s history. The Guildhall is perhaps the most emblematic building in the city, dominating its skyline. After being rebuilt twice, it remains at the heart of modern Derry’s culture, with numerous events throughout the year. Head inside for an exhibition on the history of Derry city and a look around the main hall and mayor chambers. No trip to an Irish town would be complete without a proper night out at a traditional pub, and there’s nowhere better to spend (or start) your night that Derry institution Paeder O’Donells. Located down Waterloo Street, which features a number of traditional bars and pubs, the pub features lively music, a good atmosphere, and a top-notch pint of Guinness. 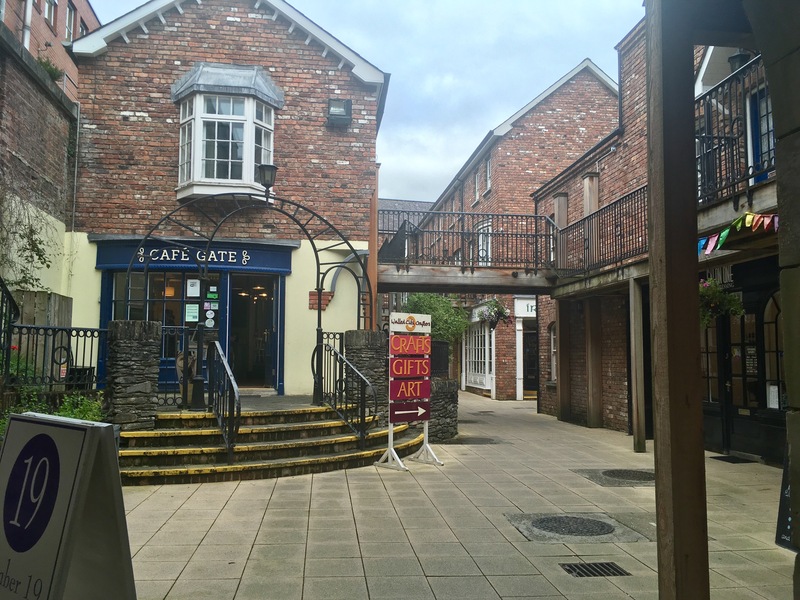 If you are looking for a great meal beforehand, try the Gown Restaurant at Bishop’s Gate Hotel, high-quality food and drink with great service at a surprisingly good price! Getting there: Derry has its own small airport, but for better flight connections, come into Belfast and get the bus or Airporter to Derry centre. Getting around: Derry is very walkable, so no need for a car or other transportation. What to pack: Layers, the weather is a bit unpredictable. And an umbrella, you’ll inevitably get rained on at some point. *I’ve used Derry throughout as it’s shorter and as per Guardian editorial guidelines, please don’t read anything political into this.